Apple released the iPhone XS last weekend with the new A12 Bionic processor based on a 7nm process. 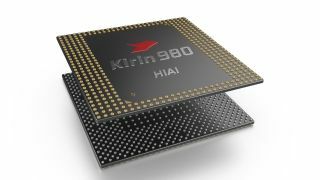 A few weeks preceding that, Huawei announced it's own 7nm processor- the Kirin 980. Huawei's processor is expected to debut with the upcoming Huawei Mate 20 Pro on the 16th of October and during a product brief in Dubai, Huawei mentioned that it's confident it's processor will be better than Apple's A12. Huawei has been working on the Kirin 980 for over three years and there are three areas Huawei has focused on which are Power and Efficiency, Intelligence, and, Connectivity. The Kirin 980 features 6.9 billion transistors which is exactly the same number Apple has managed to pack on the A12 Bionic. Huawei is claiming that the Kirin 980 is 75% faster than its previous generation as far as the CPU is concerned and 46% faster when it comes to the GPU. Power efficiency is 57% better on the processor and an extremely impressive 178% better on the the GPU. These advancements should make the Kirin 980 faster and a lot more efficient. Coming to intelligence, Huawei has doubled down on it's NPU with real time video processing as well as the capability of recognizing 4,500 images per minute. AI loading prediction will also make the processor much more intelligent on making sure when to provide the performance and when to scale back to save on power. Finally with connectivity, the Kirin 980 will be the world' first processor supporting LTE Cat.21 with peak download speeds on 1.4Gbps. Considering that Huawei is responsible for a lot of infrastructure in the UAE telco space, there's a good chance that we'll see impressive radio performance in this part of the world. The Kirin 980 is shaping up to be one of the best processors for this year and it will be interesting to see how it compares to Apple's latest. We're looking forward to testing it out when its released on the new Mate series mid October.